Did you know that 84% of Conversions Happen On The First Visit? The tool that still fairly underutilized as a marketing technique. One of the accepted wisdom of modern online marketing is that it can take a number of ‘touches’ to nurture a customer through to conversion. As a result of this logic, we all have our sales funnel maps, our nurture sequences, and our re-targeting campaigns to compensate for the first-time churn, and optimize the traffic we generate. First-time visitors (and first impressions) are even more important than we thought. We’ve always known that it was important to make a good first impression on our visitors. It’s hardly a groundbreaking idea. But if first-time conversions are so much more common than we all previously thought, then this is actually profoundly important. We might previously have thought of a customer’s first visit as a bit of a formality – a precursor to a much longer game. A chance to give them a flavor of what your business about, but little more. That’d be when your follow up campaigns kicked in, with the aim of capitalizing on their previous interest. This data is a game changer because it suggests that their first visit can actually make or break you. After all, just 11% of conversions happen on the 2nd visit, and beyond that, you’re looking at very slim pickings indeed. It might be slightly dramatic to suggest that you only get one chance to convert your visitors, but, really – how else can you interpret this data? Am I making it clear for first-time visitors to understand what it is that I’m selling while keeping in mind that their attention span is likely to be severely limited? Am I making it easy for them to actually go through the process and convert? The second point is all about effective UX design, but the first one – this is where explainer video excels. However neatly you format your web page, however clearly you lay out your key selling points, you still have a window of seconds rather than minutes to grab your audience attention, and make sure they get an essence of what you’re offering them. But our research constantly finds that when users see a play button – it’s one of the first things they click. It’s almost an offer to your attention-deficient visitor – give us around 60 seconds, and we’ll save you reading the rest of our page. Instant understanding. That’s why so many companies choose to build their whole front page around their explainer video. We see customers enjoying success from their explainer video all the time, but – perhaps surprisingly – it’s still fairly underutilized as a marketing technique. In our annual video marketing survey at the beginning of 2017, around 62% of our business respondents told us they have an explainer video, with just 56% of these being positioned on the company’s homepage. What was apparent was that, where explainer videos are used, success invariably follows. 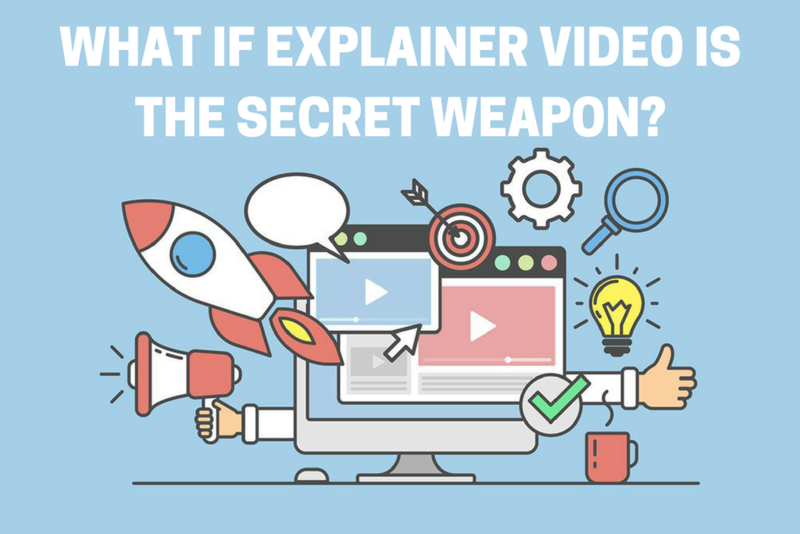 97% of businesses said that their explainer video has helped increase user understanding of their product or service. 81% reported increased sales, and 53% said their video had helped reduce support calls. And, with 79% of consumers reporting that they’d rather watch a video to learn about a product, than read text on a page – and 91% of total respondents telling us they’ve watched an explainer video at some point – it’s clear that this can be a potent homepage tool for businesses looking to boost conversions.